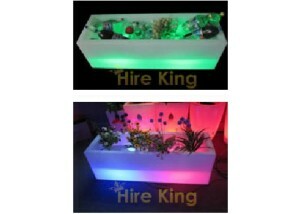 Hire King has Perth's largest inventory of glow furniture. From glow cubes to glow bars, you'll find it here. Want to throw a party in Perth that’s the talk of the town? 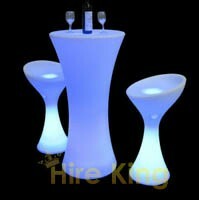 Add zing to your weekend bash with Hire King’s Glow Furniture Hire! 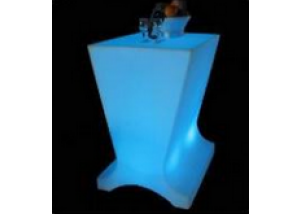 Through our glow furniture hire you can give your party the coolest look, with a choice of 16 colours ranging from bright pink to electric blue popping out of the dark to give your shindig an otherworldly feel. The ethereal illuminated furniture behind silhouetted party-goers adds a layer of mystery to the affair and the options of fade and strobe mode brings that trippy and exciting edge that every party needs. 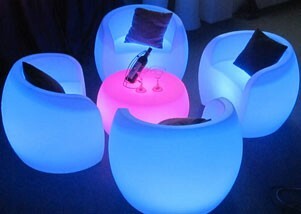 The Glow Furniture Hire is offered in various shapes and designs and ranges from cubes to curvy stools, tub chairs, geometric benches, sofas, and round tables to give your party that eccentric yet trendy look. 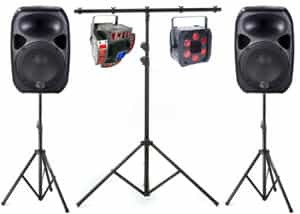 You can also go for our LED UV Lights(backlights) or LED effects lights combined with your Glow Furniture Hire for an even more pumping affect to crank it up a notch! Our illuminated furniture is powered by batteries which you will receive fully charged upon hire; this means no ugly and cumbersome wires to worry about. The battery will last you 5-6 hours which is perfect for any event, and you can even request a charger in case you plan to party it up all night long! The illuminated furniture can be controlled through a remote control, which you can view at the bottom of this page. Give us a call on 6180 3899 or fill out our quote form and we will custom make a glow furniture package to suit your event. 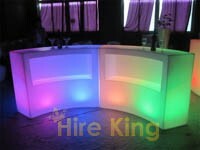 We can combine glow furniture with other hire equipment to give you an excellent package price. Want to make your own glow package? No problem. Just click add to quote, select the items you'd like to hire, submit the quote request and we'll get back to you with some great glow furniture package pricing. The perfect alternative to a boring old ottoman or chair. 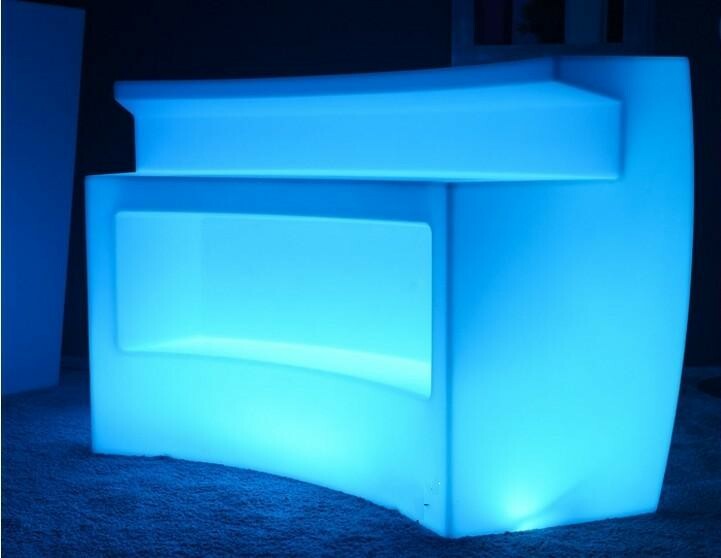 Why not have a glow cube for your next party. The cubes come fully charged and will easy last for a 5-6 hour party without needing to be charged. Watch a video of these LED glow cubes in action. 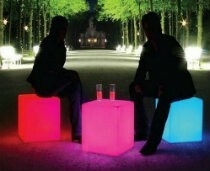 These glow stools can be used as seating, as a table or just as great garden decoration. 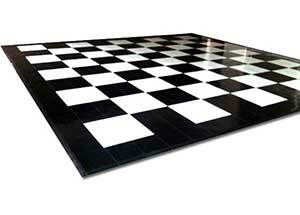 They can also be stacked into columns for an impressive impact. The LED glow stools come fully charged and you have a range of colours to choose from as well as a fade, strobe and flash option. Our most popular package deal! 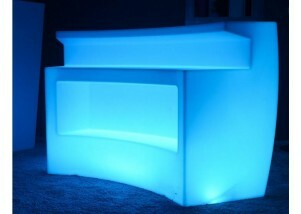 Add on some glow cubes for extra seating. Amp up the atmosphere and take your glow party to the next level! 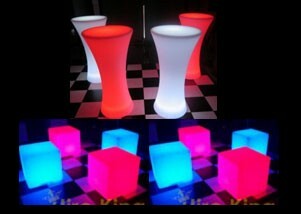 Add 8 additional glow cubes or glow round stools (not bar stools) for only $150! Free Standard Delivery & Pickup with this package. This package includes 4 glow tub chairs and 1 glow round table. You can choose between 16 colours for each piece of furniture (every piece can be set to a separate colour if you wish). Cushions (as pictured in image) are not included. NEW! 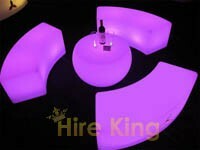 Give your party a trendy look with just a hint of sophistication with Hire King’s Glow Sofa Package! This contains beautifully illuminated and designed sofa set, choose from 1 of 16 colours through the easy to use remote, with 1 two-seater and 2 one-seater sofas. Whether it’s an outdoor cocktail party or an indoor event, this package will surely grab every eye and give your party a hip and classy air. 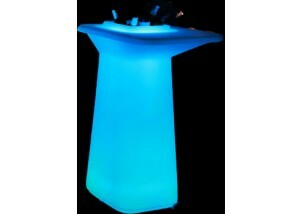 Set up our glow cocktail tables for your next event! Whether for an office party, charity event, cocktail party, gameday event, teenage parties or more, you can use these cocktail tables for many parties. 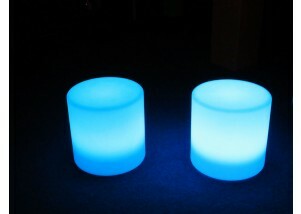 Pair these cocktail tables up with our glow bar stools for the perfect combination. 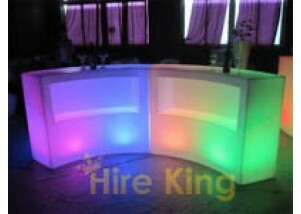 Pictured on left with glow bar chair (also available for hire). These innovative glow cocktail tables come with a built-in ice tub. The large table top still leaves plenty of room to rest drinks. 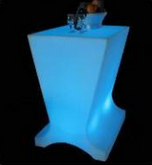 Transform your bar setting with light-up bar stools! These bar stools have a round seat and bottom, which creates a modern look for your event. 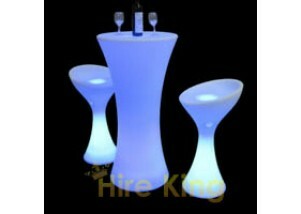 With these light-up bar stools, you'll be able to brighten up your events, whether it's an outdoor party or a cocktail party. 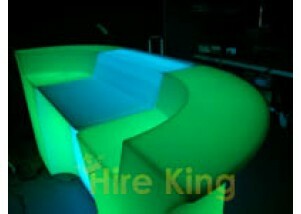 Glow round bar with additional serving ledge. Serve drinks in a stylish way with this 3 piece glow bar! This bar comes with a handy cubby to set your alcoholic or non-alcoholic drinks and drink-making tools in. A stunning 3 piece illuminated glow bar. Separate pieces (corners or straight) also available. Call us on 6180 3899 for more information about our illuminated glow bar. These glowing tub chairs offer a graceful design to add some life to your party! 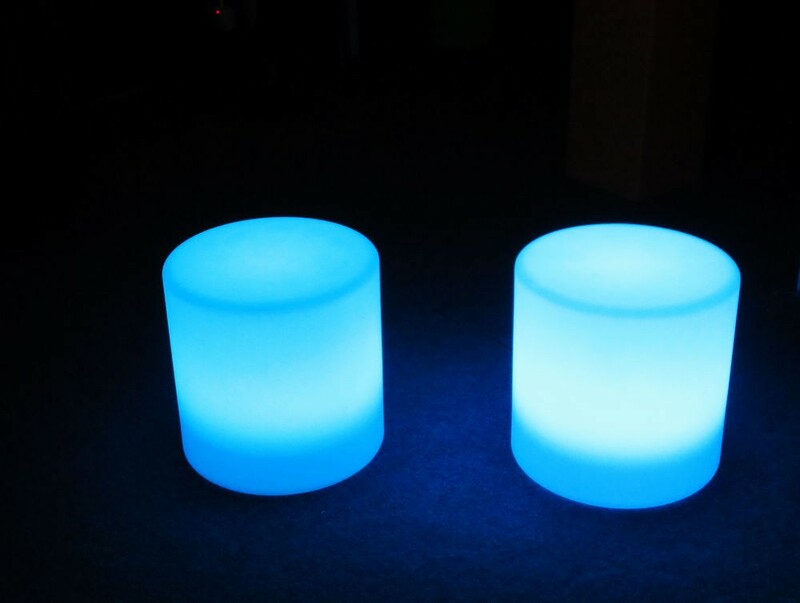 They look great in a set of 4 huddled around a round glow table, and they come in 16 different luminous colours through the remote control, pictured at the bottom of the page, so you can make your party even more happening! 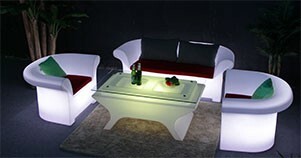 Give your party guests a whimsical and unqiue sitting area with this light-up bench! With a curved design, this bench creates a modern appearance at any party. 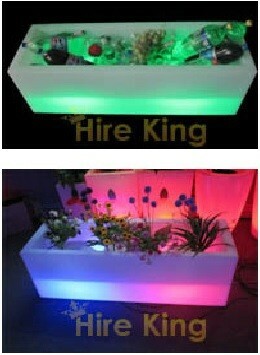 You can use this bench for Sweet Sixteens or corporate office parties to add a touch of colour and light to your event. 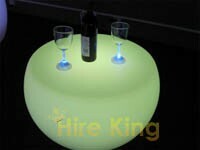 Pictured on left with glow round table (also available for hire). These lovely illuminated round tables look great as centre tables for a set of four curved benches or tub chairs, fitting together to make a nice arrangement.The round, pot-like shape gives it a very cool and contemporary look. 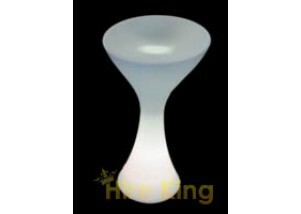 Place a wine glass on this glowing surface and you’ll get a beautiful, ghostly display! 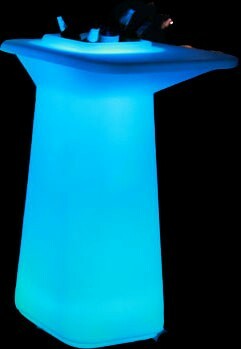 Light up your events with our large, light-up bucket! This bucket can be used as an ice bucket to keep your drinks refreshingly cool for your guests on game days or corporate office events. You can even use this bucket for all your drink-serving events, from charity parties to fitness events. This illuminated Ice Tub is aptly shaped like an edgy wine-glass, and can double as a flower pot for an outdoor setting or a centre piece if you’re going for a more elegant look. It can be set to any of 16 colours which can be easily controlled by the remote control pictured at the bottom of this page. 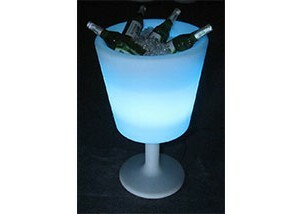 Make your ice glow from within, this lovely piece will make sure your guests always find their way to the champagne! Give your event some 3D decorations with our colourful, glow balls! 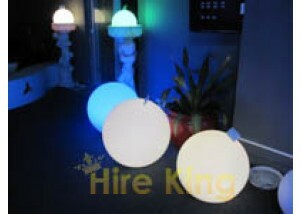 Coming in a variety and sizes, our light-up balls are sure to give any special occasion a pop of glow-in-the-dark color. A control is included to allow you to change the colors of these balls. Give your event some 3D decorations with our colourful, glow balls! 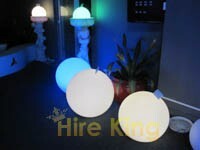 Coming in a variety and sizes, our light-up balls are sure to give any special occasion a pop of glow-in-the-dark color. A control is included to allow you to change the colours of these balls. 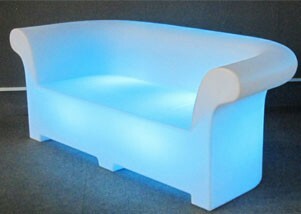 Our brand new LED Glow Sofa is now available. This sofa can seat 2-3 people and the entire sofa glows! 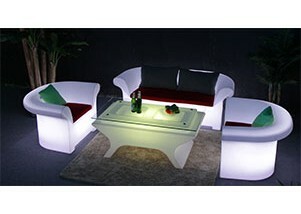 Our brand new LED Glow Sofa is now available. 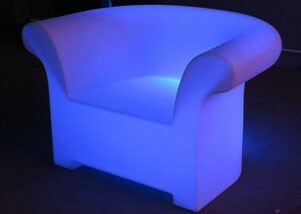 This sofa can seat 1 person and the entire sofa glows! All our glow furniture comes with a wireless remote similar to the one below. You have the option of 16 different colours as well as a fade and flash function. When you pickup or we deliver the equipment we will run through the operation of the furniture (although it really is very straight-forward).